New Colorado Timberline DEA White Polo has the DEA letters subtly embroidered on the left sleeve. 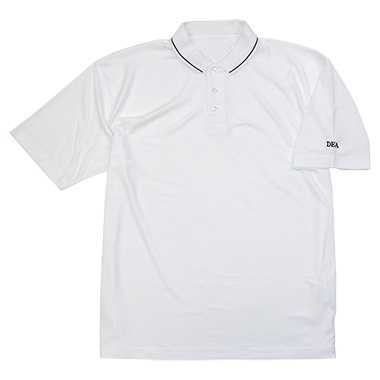 Made of Poly-Dri, this polo is uniquely textured microfiber knit fabric wicks perspiration rapidly away from the skin drawing it to the surface where it quickly evaporates. Poly-Dri's delicate construction lies softly against the skin and performs comfortably in any enviornment regardless of the demands. Handsomely designed for use while dining or participating on the sports field, this polo is your sensible performance alternative.